Add a new method, evaluateAndReportErrors(). It should work like evaluate() except that if there is a problem of any kind evaluating the stack (not just unset variables or missing operands, but also divide by zero, square root of a negative number, etc. ), instead of returning nil, it will return a String with what the problem is (if there are multiple problems, you can simply return any one of them you wish). 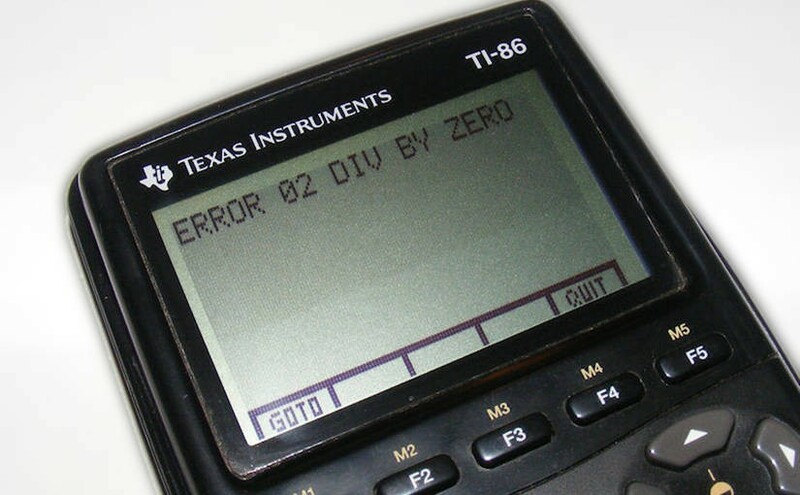 Report any such errors in the display of your calculator (instead of just making it blank or showing some weird value). You must still implement evaluate() as specified in the Required Tasks above, but, if you want, you can have evaluate() return nil if there are any errors (not just in the “unset variable” or “not enough operands” case). The push and perform methods should still return Double? (which is kind of a wasted evaluation, but we want to be able to evaluate your Extra Credit separate from the Required Tasks). The complete code for extra task #3 is available on GitHub.